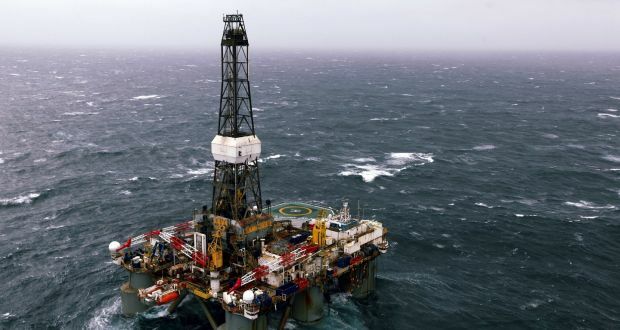 People Before Profit TD Bríd Smith has condemned the approval for an exploration licence for the oil and gas companies Providence and Total in the Porcupine Basin. Deputy Smith said the announcement contrasted with Minister for Climate Action Richard Bruton and the Taoiseach’s lofty rhetoric on climate change. The TD said: “It is especially ironic that this announcement comes today when the Climate Minister is holding a high-level forum on Climate Disruption and the Government spin machine is in full flow. The reality is this Government don’t get climate change and won’t take the actions needed to mitigate or deal with the catastrophic consequences of it. “This licence should lock this country into decades more of reliance and support for a fossil fuel industry that must be phased out , its logic flies in the face of all scientific advise that over 80% of known reserves must stay in the ground to avoid climate change that will be irreversible for human civilisation and the earth’s biodiversity. The TD also said she remained hopeful that the Climate Emergency Bill to ban the issuing of such licences will progress despite the attempts of the government to use procedural wrangles to stifle it.